The Arctic tern, Sterna paradisaea. This is the species famed for making the longest annual migration of any bird, all the way from the Arctic to the Antarctic. Photo by Roberto Lerco. The terns are the gulls' more refined relations. They have become superb aerialists, spending most of their lives on the wing, feeding on fish delicately plucked from the water's surface as they fly above. Depending on where you look, the clade that the terns comprise may be dubbed the Sternini, Sterninae or Sternidae, but this is purely a quibble over ranking - there seems to be no disagreement about what is, or isn't, a tern. At the lower level (naturally), a little more disagreement ensues. There is a clear distinction between the mostly smaller, tree-nesting tropical noddy terns of the genera Anous, Gygis and Procelsterna (sometimes all combined in Anous) and the larger, ground-nesting true terns of Sterna and related genera. The spectacular cave-nesting Inca tern, Larosterna inca, also seems to be universally placed in its own genus. 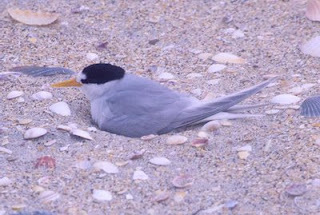 However, authorities differ on whether they would prefer to include all the ground-nesting terns in a single genus Sterna, or whether they would prefer to peel off some of the more distinctive taxa into what might be called Sterna's satellite genera, such as Hydroprogne caspia* (the Caspian tern), Chlidonias (the marsh terns) or Gelochelidon nilotica** (the gull-billed tern). 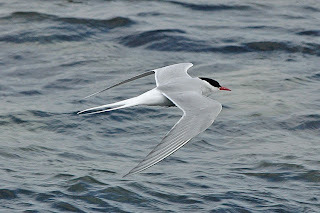 *Hydroprogne, as it happens, translates into English as "water swallow", which seems a rather apropos description for any tern..
**As well as being morphologically distinct, Chlidonias and Gelochelidon (the "laughing swallow") both differ from most other terns in being much more likely to be found inland. Here in Australia, Gelochelidon nilotica can travel almost to the centre of the continent, visiting temporary salt lakes when they are filled by the rains. There is something very surreal about being in the centre of the desert, hundreds of kilometres from the coast, and looking up to see terns passing overhead. The New Zealand fairy tern, Sternula nereis davisae. With a surviving population of only about thirty-five individuals, this is one of the world's rarest terns, and indeed one of the rarest of all birds. Photo by John Kendrick. The only proper phylogenetic study that appears to have been published recently on terns was a mitochondrial DNA analysis by Bridge et al. (2005). Sternini were also included in the supertree analysis of Charadriiformes by Thomas et al. (2004), but a look through their source trees suggests that their data for Sternini were almost entirely derived from a 1984 PhD thesis. Bridge et al. (2005) found that Larosterna inca was nested well within Sterna sensu lato, and suggested the recognition of nine genera within this clade (including Larosterna) - as well as those already mentioned, these were Onychoprion for the brown-winged terns, Sternula for the little terns, Phaetusa simplex (the large-billed tern) and Thalasseus for the crested terns, with Sterna restricted to a group labelled the "typical black-capped terns". Most of the genera recognised by Bridge et al. (2005) correspond to groups recognised previously on morphological grounds. The one arguable exception is, ironically enough, their Sterna sensu stricto, which also remained poorly supported in Bridge et al. 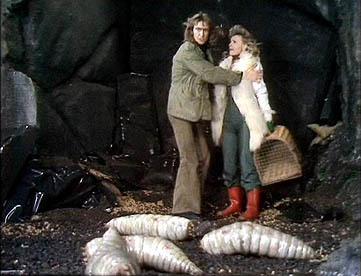 's analysis, though a smaller core of species within Sterna was well-supported. Phylogeny of terns from Bridge et al. (2005). Note that, with only two exceptions, the colour pattern of the head corresponds closely with the phylogeny, though beak coloration appears to be more labile. One interesting detail of Bridge et al. 's results is how closely the proposed phylogeny correlates with patterns of breeding plumage coloration on the head (it is worth noting that the two exceptions, Sterna sumatrana and S. trudeaui, have breeding plumages similar to the non-breeding plumages of related species). On the other hand, the correlation drops significantly when one considers overall coloration. This is most obvious in the genus Chlidonias - the great similarity in the head views of Chlidonias species in the figure above disguises the fact that these four species vary from almost entirely black (Chlidonias niger) to mostly white with only the cap of the head black (Chlidonias hybrida)*. The main point is that while there is a common assumption that colour patterns are a priori of little use as characters for phylogenetic analysis because they are supposedly too evolutionarily labile, this is not necessarily the case. Some details of colour pattern may indeed be very variable and prone to homoplasy, others may prove to be evolutionarily very conservative (and what is labile in one clade might be conservative in another) - much as one might find in just about any other possible character complex. *As an aside, a comparison of different sources suggests that there has been confusion over whether the genus Chlidonias is masculine or feminine (and hence what is the appropriate spelling for the species in this genus). According to David & Gosselin (2002), Chlidonias is masculine - hence C. niger, C. leucopterus and C. albostriatus, but C. hybrida, because in this case "hybrida" is a noun in apposition, not an adjective. Thanks are due to Alan Peterson's Zoonomen page for clearing this up. Bridge, E. S., A. W. Jones & A. J. Baker. 2005. A phylogenetic framework for the terns (Sternini) inferred from mtDNA sequences: implications for taxonomy and plumage evolution. 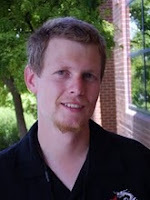 Molecular Phylogenetics and Evolution 35: 459-469. David, N., & M. Gosselin. 2002. Gender agreement of avian species names. Bulletin of the British Ornithologists' Club 122 (1): 14-49. Thomas, G. H., M. A. Wills & T. Székely. 2004. A supertree approach to shorebird phylogeny. BMC Evolutionary Biology 4: 28. "Hydroprogne, as it happens, translates into English as "water swallow", which seems a rather apropos description for any tern." It certainly is. The German word for tern actually is "Seeschwalbe" (sea swallow). The genus was named by a German author, Kaup (1829). By the way, the type species of Chlidonias (C. melanops) was based on a specimen of C. niger that was missing its hind toe, and was placed in a new genus only for that reason.But of course, the name to be used for a taxon should always be the oldest one available, even if the original reason for coining said name is now completely invalid. Chlidonias would be far from being the only genus originally based on a misinterpreted character. It was named by Rafinesque - in the "Kentucky Gazette". Really. Makes one wonder how many unnoticed scientific names are still there in old newspapers...Now that's odd, because the ICZN explicitly excludes names published in newspapers from availability, and yet no-one seems to have questioned the availability of Chlidonias. How does that work? Anous would seem to mean "mindless" - any idea why it was named thus? "But of course, the name to be used for a taxon should always be the oldest one available, even if the original reason for coining said name is now completely invalid. Chlidonias would be far from being the only genus originally based on a misinterpreted character." That's of course true. I've seen the argument somewhere in an old paper that the name isn't valid for that reason, but I think the ICZN didn't exist back then, and I think the author just needed a reason to keep the name that was commonly used then. Also, I just found out that Rafinesque also used some other characters in his diagnosis, so I was wrong about that. "Now that's odd, because the ICZN explicitly excludes names published in newspapers from availability, and yet no-one seems to have questioned the availability of Chlidonias. How does that work?" Interesting, I didn't know about that rule. No idea why Chlidonias is considered valid. Anous would seem to mean "mindless" - any idea why it was named thus?It seem's to be yet another reference (like the names "boobies" for Sula, or "gooney-birds" for albatrosses, or the name "noddy" itself) to the unconcerned nature of island-nesting seabirds, which did not flee at a human approach. Just to hammer the point home, one noddy goes by the name of Anous stolidus, making it stupid as well as mindless.